The Federation of European Motorcyclists Associations (FEMA) has reported that discussions regarding the regulation on the approval and market surveillance of two- or three-wheel vehicles and quadricycles (Type Approval) have entered a crucial phase. Although this all depends on whether a common position can be reached otherwise the European Parliamentary procedure will move on to reach an agreement (or not)! FEMA continues in its in-depth article on the issue and obviously promotes the work that the Secretariat has apparently done to persuade MEPs and the European Commission of its point, of view. FEMA has demonstrated its willingness to engage with the other parties and found (as we at Right To Ride have found to be the case) that the Commission and MEPs are very willing to listen if people come to the table with an open mind with suggestions for solutions. FEMA also comments that, “So far many delays gave the impression that the decision making process is somehow tenacious and slow, but given the technical complexity and the fact that this regulation is one of the first to be adopted under the new co-decision requirements most delays have been reasonable.” This comment hints at the delays in reaching a Common Position and the subsequent delays in voting in the European Parliament. Overall, it has helped riders throughout Europe to understand the complexities of this proposal. However it is a shame that FEMA has mixed up the explanation regarding “Anti-Tampering”. Unfortunately the article mentions “modification” and suggests that this is the same as “tampering” without distinguishing between the two. In November 2011, the European Commission representative stated that it was the Commission’s intention, with regards to anti-tampering to concentrate solely on motorcycles that were restricted. It was clear that they did not intend to stop or ban modifications. The Commission Representative replied, “In general the anti-tampering measures will be limited only to prevent harmful modifications of the powertrain with regards to the functional safety and environmental performance of vehicles. (e.g. drilling holes in the exhaust pipe or modifying an exhaust for the purpose it was not intended for)”. The whole thrust of the European Commission’s proposal has remained the same from day one It is aimed to regulate emissions and the safety of motorcycles, while the IMCO Committee MEPS, (who are the riders democratic representatives), introduced some of their amendments outside the scope of the regulation and the aims of the Commission Proposal. The groundswell of common sense is growing, with MAG Ireland, the BMF and magazines such as American-V, taking the same position as Right To Ride to provide facts and information so that riders can understand what is happening in Brussels. This latest article by FEMA even with its flaws (i.e. confusing legal modifications with illegal modifications or “tampering”) has provided more information so that we can have an intelligent debate. Over the last two years, we have continued to lobby and our message has remained the same. We need to be at the table talking to the Commission, government representatives, other riders’ organisations, the manufacturers and members of the European Parliament. We need to respect the legislators and other players as our equals and explain our point of view and where we do not agree, we must make that clear as well. There is a red line in the sand that we will never step over, which is why we criticized certain IMCO Committee members for their positions. For example in the case of Ms Westphal, German MEP, who wanted to extend ABS to smaller PTWs, we queried the potential conflict of interest with the ABS manufacturer Bosch, which just happens to be in her constituency. We queried the basis for mandating ABS, equally we queried the artificial inflation of prices for ABS by manufacturers. We queried the basis for mandating AHO by providing evidence that in collisions with other vehicles, dipped beams on motorcycles did not make any difference. We queried the need for anti-tampering measures because not only was there insufficient evidence to prove that tampering (illegal modifications) was widespread throughout Europe, but in the case of mopeds, anti-tampering measures already exist. Equally we offered a simple cost effective solution to monitor illegal modifications which in the UK is the MoT. FEMA concludes “On the home stretch the most critical issues of the type approval regulation seem to turn into positive or at least acceptable measures”. The position of the National Organisations that make up FEMA is the same as ours in that these organisations all aim to protect the spirit and historic tradition of modifying motorcycles. We all have the same common cause. Once adopted the regulation on the approval of two- and three wheelers will set new rules and technical requirements for manufacturers who sell motorcycles in the European Union. Following thorough discussions, the European Parliament and Council seem close to an agreement. FEMA outlines the remaining critical points as well as all issues of concern to motorcyclists in Europe. 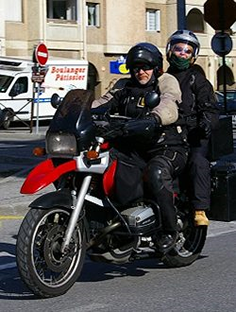 In 2010 the European Commission published a proposal for a “regulation on the approval and market surveillance of two- or three-wheel vehicles and quadricycles” the so called L-category vehicles (L standing for light). IMCO (Committee on the Internal Market and Consumer Protection), the Committee of the European Parliament in charge of the regulation, adopted its report by the end of 2011 and proposed a long list of amendments (FEMA reported earlier). At the moment the regulation is being discussed in trialogue – informal meetings between representatives of the Council (representing the EU member states), IMCO, and supported by the Commission – in order to reach a common position before the European Parliament as a whole votes on the proposal. The plenary vote is not expected to be held before October 2012, but IMCO and the Council are willing to reach an agreement before the summer break. If this does not happen then, a change in Presidency of the Council from Denmark to Cyprus would cause additional delays. The Commission originally proposed to equip all L-category vehicles (so everything on two or three wheels with an engine) “with designated measures to prevent tampering of a vehicle’s powertrain” (laid down in Article 18). Before, similar rules have only been in place for speed and power restricted mopeds, scooters and light motorcycles up to an engine capacity of 125 cm³. The inclusion of all kinds of motorcycles into Article 18 was justified by the Commission by environmental and safety concerns. FEMA and its members have continuously criticised the Commission for trying to solve a problem that does not exist in practice. There are no data that indicate that modified motorcycles cause more pollution or are more likely to be involved in an accident. Also, the Commission has never made an attempt to investigate the scale of the problem. This proposal has therefore created great concerns among rider organisations in Europe. Speculation is still rife as to what precisely these “designated measures to prevent tampering” would include as the Commission intends to develop them as part of a delegated act which has still not been drafted. Riders were therefore rightly worried of a scenario where manufacturers have to build motorcycles in a way that prevents the end user from any kind of modification, except maybe the replacement of rear mirrors. 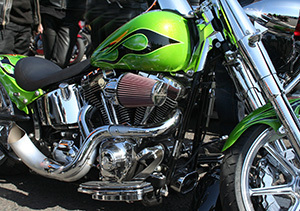 In order to ensure that riders remain free to rebuild and modify motorcycles FEMA worked hard to convince all crucial stakeholders to exclude motorcycles from Article 18 so they were not affected by any anti-tampering measure, irrespective of what measures the Commission would define in delegated acts later on. During the trialogue discussions, after long months of lobbying and campaigning by FEMA’s national organisations, Wim van de Camp informed FEMA that an agreement between IMCO and Council to finally exclude motorcycles and sidecars without power restriction (the newly called L3e-A3 and L4e-A4 subcategories) from Article 18 is likely. At the FEMA Committee meeting on the 2nd of June the members of FEMA agreed that the exclusion of A3 motorcycles from Article 18 was a milestone, but that further efforts had to be made in order to save the new A2 category from anti-tampering measures as well. In line with the 3rd driving licence directive, the type approval regulation creates the L3e-A2 category for motorcycles up to 35kW. A2 motorcycles tend to be affordable, fuel–efficient and light. Therefore, and unlike some regulators might think, A2 motorcycles will not only be ridden by A2-lincence holders but also by motorcyclists holding a full A licence. The latter should be given the opportunity to modify whatever part of the vehicle they choose, including the entire powertrain. In any case, Article 18 foresees an arrangement to retain the possibility of restricting an A3 motorcycle (of under 70kw) in order to ride it as an A2 bike with an A2 licence. For this purpose a manufacturer will need to type approve both the restricted and the unrestricted version. Should A2 bikes remain within the scope of Article 18 it will be crucial to keep an eye on the delegated acts since FEMA expects very sophisticated “measures to prevent tampering of a vehicles powertrain” to trigger disproportionately high costs for the conversion from an A3 to an A2 motorcycle (and vice versa). 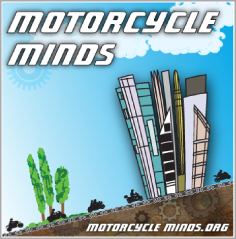 A very small but very dedicated group of experts in Europe enjoy building of motorcycles from scratch or take the very basic components of an existing model to convert it into a unique vehicle. Such amateur built motorcycles can of course not be expected to fulfil the same type approval requirements as mass manufactured vehicles. Therefore these vehicles used to be approved individually, which was dealt with on the member state level according to national requirements. The type approval regulation aims at harmonising individual approvals and provides exemptions from the general type approval rules. FEMA, and especially its Nordic member organisations, criticised the foreseen exemptions as insufficient and with the help of MEPs like Bernd Lange, Toine Manders, Eija-Riitta Korhola and Mitro Repo, amendments had been tabled in order to protect the freedom of amateur bike builders. Still, a number of rider organisations remained sceptical about a harmonised approach of individual approvals and many member states called for the plans to be cancelled. Malcolm Harbour (read the interview with Malcolm Harbour), who acts as IMCO Chair and Shadow-Rapporteur for the UK Conservatives, has already drafted an amendment that suggests mutual recognition of national type approvals which FEMA considers as a preferable outcome. But as legal experts put it, this means that the Commission would need to issue a separate proposal in the future for the introduction of EU harmonised individual approvals that subsequently will have to be discussed and agreed upon by Council and Parliament. That way the situation for amateur bike builders would change as a common denominator has to be found between Member States and the Parliament in national individual vehicle approval rules throughout Europe. However, by recognising each others approvals it would become easier to sell, resell and buy such motorcycles within Europe. The European Parliament requests manufacturers to equip all new motorcycles with ABS as from 2016. Only Enduro and Trial motorcycles are exempted from the provision. The Commission had left the option to manufacturers whether to install a Combined Braking System (CBS) instead of ABS for light motorcycles with an engine capacity from 51 cm³ to 125 cm³ but IMCO surprisingly decided to tighten the Commission’s proposal and to mandate ABS for A1 motorcycles as well. The motorcycle manufacturers and FEMA criticised IMCO for that decision since for small bikes CBS has similar effects to ABS at significantly lower costs. As A1 motorcycles have always been an affordable entry option into motorcycling, this segment is particularly price sensitive and there is a high risk that potential novice riders will be discouraged by significant price increases. ABS remains the crux of the trialogue discussions since the Commission and Council agree with FEMA. Should IMCO insist on its position an instant agreement between Council and Parliament, a so called agreement in 1st reading, might not be achieved. If a second or even a third reading was required it would further delay the decision making process by many months and increase the uncertainty for motorcycle manufacturers considerably. Within IMCO the main supporter of mandatory ABS for A1 motorcycles is Kerstin Westphal, shadow Rapporteur for the group of Socialists and Democrats (S&D), the second biggest group of the EU Parliament. One of the production sites of Bosch, the leading producer of ABS, is Bamberg – which lies within the constituency of Ms. Westphal. BMF and MAG UK, the British members of FEMA, have started to ask British labour MEPs (which also form part of S&D) for their opinion regarding ABS and many do not seem to share Westphal’s opinion. It remains to be seen if the Council and IMCO will manage to find a compromise for ABS requirements. FEMA advises IMCO to stick to the original Commission proposal and leave the option to install CBS instead of ABS for A1 motorcycles. Due to the difficult economic situation the motorcycle industry has been facing since the 2009 crisis, manufacturers asked IMCO for sufficient lead time to comply with new approval requirements. Furthermore, approval procedures are time consuming and costly, therefore industry representatives called for bundling as many new requirements within as few application dates as possible. As a result IMCO opted to skip the first emission step for motorcycles and to advance the introduction of the second step instead. From 2016 new types of mass manufactured motorcycles should meet Euro 4 standards and Euro 5 from 2020. (please note that, compared to the original legal proposal, Euro 4 relates to Euro 5 and Euro 5 to Euro 6 accordingly. In absolute terms the emission limit values do not change for 2016 and 2020 but the denomination). In 2014 mopeds and scooters (L1Be) will have to comply with Euro 3, with Euro 4 in 2017 and with Euro 5 emissions as from 2020. The schedule is still subject to changes as well those of the emission requirements for existing motorcycle types. Manufacturers, IMCO and Council seem close to reaching a pragmatic solution. The type approval regulation will introduce the requirement for manufacturers to provide emission durability for their engines. Riders can therefore rely on a motorcycle to not only meet a designated emission standard at the beginning of its life cycle but even after having completed a specified mileage. The durability requirement for mopeds and scooters up to 50 cm³ is 11.000 km (for the Euro 4 level) and 12.000 km (Euro5). Durability requirements for motorcycles up to 125 cm³ are 20.000 km (Euro 4) and 30.000km (Euro 5), and for motorcycles with an engine capacity exceeding 125 cm³ emissions durability must be proven for 35.000 km (Euro 4) and 50.000 km (Euro 5). The new durability requirement was a central condition for FEMA to support stricter emission levels. In countries with periodical inspection schemes comprising an emission test it should prevent riders from failing the test – and having to bear the follow-up costs. Manufacturers are not opposed to a durability requirement as such but are concerned that the test cycles and testing methods, which will be defined by the Commission via a delegated act, are becoming too time consuming and costly. Manufacturers are calling for the test cycle applied in the US, with possibly Brazil, China, Taiwan and Thailand following as there is no modern alternative at an international level. The Commission deems this so called US EPA AMA test cycle to be obsolete as it was developed in the 1970s for the US market in the pre-catalyst era and therefore aims at developing and applying the SRC test cycle which it claims to be closer to real life conditions for the vehicle fleet in the EU. Application of the US EPA AMA test cycle in the EU would initially save manufacturers from different testing standards in different major markets, but the Commission argues that the new SRC test cycle will take less time to complete and will therefore be less costly, so it might at some point be considered as attractive alternative for the obsolete AMA test cycle at an international level. half mileage accumulation: during and after half the required mileage has been completed the emissions are tested and the test results should then be extrapolated while still remaining below the specified limits. mathematical method: after the accumulation of a very short distance (e.g. 100km) emissions are tested and then multiplied with a fixed deterioration factor set-out in the proposal. The product of test results multiplied with those deterioration factors must be under the specified emission limits. Option 1 is of course most precise but also time consuming and therefore not favoured by manufacturers. Option 2 is less time consuming and less accurate, but the applied emission abatement system needs to work well resulting in emissions remaining below the allowed thresholds. Obviously the mathematical method is the least time consuming test for manufacturers as there is no need to accumulate a significant mileage before the motorcycle is introduced on the market and it offers the lowest predictability of real-world emissions. At the same time, manufacturers will have to apply rather elaborate emission abatement systems which might compensate for the time savings. By 2016 at the latest the Commission is supposed to carry out an environmental effects study before confirming the enforcement dates for the Euro 5 step and its specific requirements, the durability measures and requirements as well as the introduction of on Board diagnostics stage II. It is important to mention that today and as well for the next emission step in 2016 the emission limits of the Euro steps differ across categories. For example Euro 4 has different absolute emission limits for A3 motorcycles than for L1Be mopeds. With the introduction of the Euro 5 step in 2020 the Commission aims at harmonising the emission values across categories. The environmental effects study has to show, amongst others, whether this goal is feasible and justifiable. A combustion engine cannot prevent a small amount of unburned fuel and exhaust gases from escaping around the piston rings and entering the crankcase, referred to as “blow-by” gases. These gases are extremely harmful, either for the environment when discharged to atmosphere or for the lifetime of an engine since the oil would become diluted and chemically degraded over time, decreasing its ability to lubricate. Condensed water would also cause parts of the engine to rust (for further explanations see Wikipedia). The Commission proposed a test used in the car sector to prove that none of the blow-by escapes the engine. But manufacturers were reluctant as the proposed test procedure would have required a rebuilding of existing motorcycle engines. Manufacturers further criticised the Commission for trying to solve a non-existent problem since sealed systems are being applied by default. FEMA shares the critique of manufacturers since no problems with crankcase gases have been reported by riders using engines from well established manufacturers. As Commission experts actually trust established manufacturers to master crankcase gases they proposed the manufacturers to come up with a procedure that allows approval authorities to test only those vehicles where the documentation describing the operation mode of the engine gives reason to doubt the ability of managing crankcase emissions successfully. As part of the type approval regulation the Commission intends to include requirements for the steerability of vehicles. Manufacturers do not see the need for such a requirement because mass manufactured vehicles, especially two and three wheelers, are being tested extensively on closed test tracks during the entire development phase, which lasts for months or even years, with a particular focus on handling and steerability. Therefore manufacturers are not concerned that their vehicles would fail any steerability test during the type approval procedure but seek to avoid the additional costs such a test would entail. Given these circumstances FEMA considers steerability tests as superfluous. So far many delays gave the impression that the decision making process is somehow tenacious and slow, but given the technical complexity and the fact that this regulation is one of the first to be adopted under the new co-decision requirements most delays have been reasonable. The willingness of Commission experts as well as Malcolm Harbour and Wim van de Camp, representing the main players within the European Parliament, to discuss with FEMA representatives needs to be highlighted. On the member state level many representatives of the Council are in regular contact with FEMA national organisations. On the home stretch most critical issues of the type approval regulation seem to turn into positive or at least acceptable measures. On behalf of the Commission a “Study on Anti Tampering Devices relating to Two or Three Wheeled Motor Vehicles” was published in 2003. An exploration of he scale of motorcycles above 125cc being modified in a harmful way in Europe was not part of the study.